Guys, I made this pretty easy for you, these are a few of the things us girls could never complain getting on Christmas or any day for that matter. 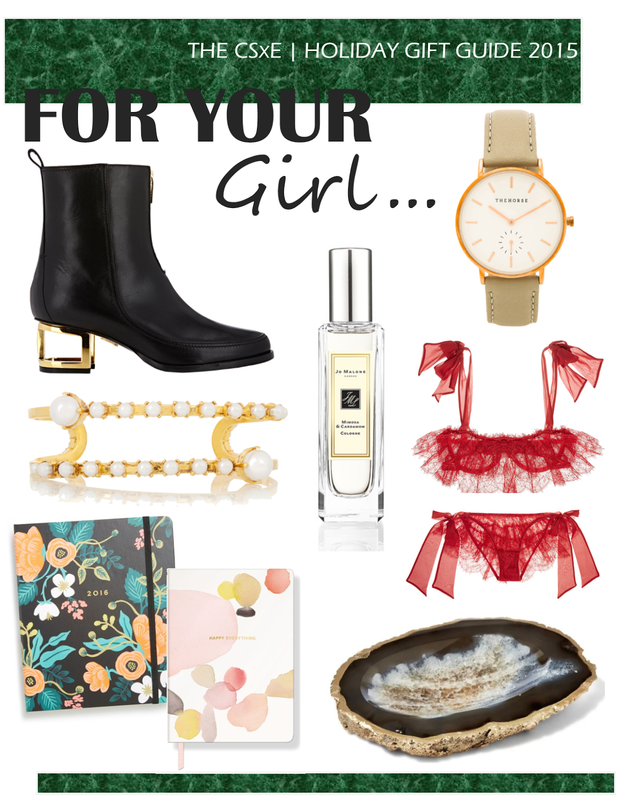 We can never go wrong with these essentials, the perfect classic yet cool bootie, a new take on the classic pearl bracelet, an intoxicating scent she will not want to put down (I can vouch for that), a classic tan leather strap watch (we always need one of those), a pretty journal to pour all of our emotions to, and a beautiful little catchall plate for all that jewelry you have or will get us (wink, wink). Guys, did I hook you up or what? you can thank me later or she will. Shop the list below, scroll through the list to find all the items shown above.